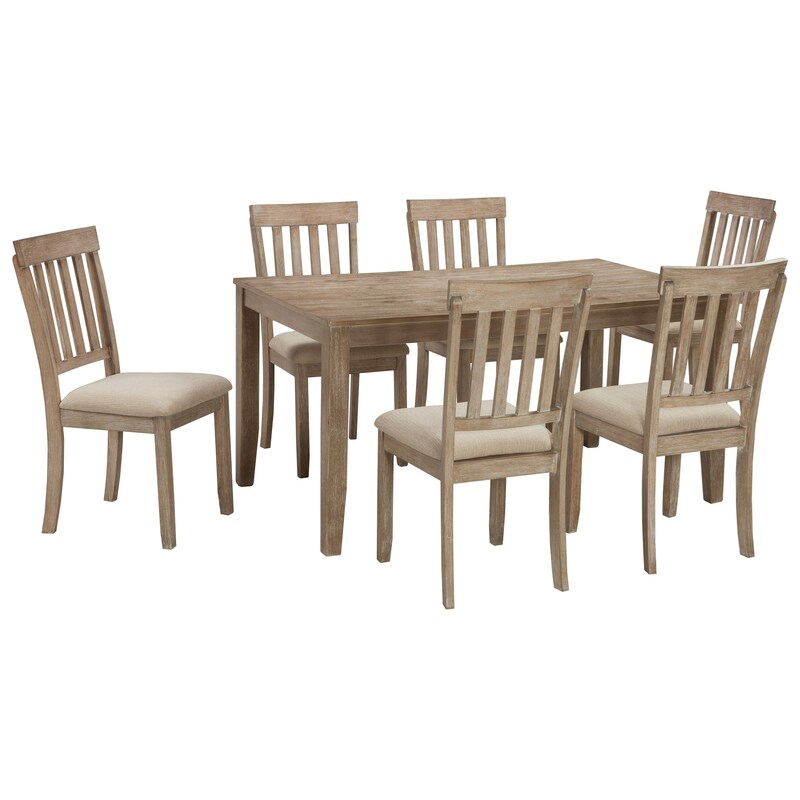 Give your dining space a casual, pastoral atmosphere with this dining room table set. The ensemble consists of the dining table, which features tapered farmhouse legs, and six classically designed side chairs with upholstered seats and slat backs. The set is brought together by the white waxed light bisque finish that lends a vibrancy to the wood's grain. The Mattilone Casual Dining Room Table Set with 6 Chairs by Benchcraft at Miskelly Furniture in the Jackson, Pearl, Madison, Ridgeland, Flowood Mississippi area. Product availability may vary. Contact us for the most current availability on this product.